A Leap Forward in My Career.. Awhile back I posted a list of things I wanted to accomplish before 2012 was over, and there were a few things from the list that I didn't quite get to do. This just reminds me that the plan I build for myself will not always land on my time.. But with patience, persistence, and faith everything is possible. 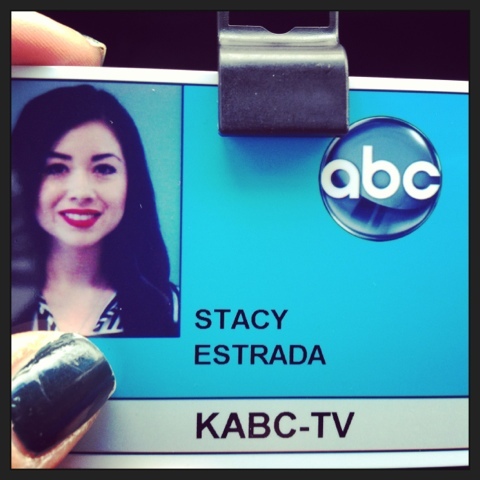 I am so excited to announce that I am the new paid intern for ABC7's entertainment department! This is an opportunity of a lifetime and I am so excited to have been selected. I have always loved media and entertainment and now I get to be a part of one of the top stations in the U.S. I will definitely keep you posted with all the behind the scenes of the station and LA entertainment. The secret to staying beautiful forever..